I met some most amazing people like the Gandhian Plantation Owners in Wayanad, stayed in a Houseboat, prayed in an ancient Portuguese Church in Champakulam , where I also learned about a man who saw Jesus, and had some of the most exotic, delicious and wholesome food. 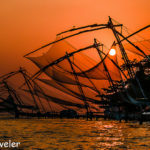 Check this video to find out more about what we did during our Kerala Blog Express Trip. Indeed we have formed some great bonds and are still in touch with each other. Well I hope this is good motivation for you to leave everything and apply for Kerala Blog Express. You can use your Facebook login ID etc. for registering. The Kerala Blog Express team will verify your profile and if your profile is approved it will show on the official page of Kerala Blog Express. Now the fun part begins. You can ask your friends and family to share your profile and vote for you. The winning is dependent on two parts- The number of votes you get and the final judging. So while votes are important they are not the only criteria for winning Kerala Blog Express. 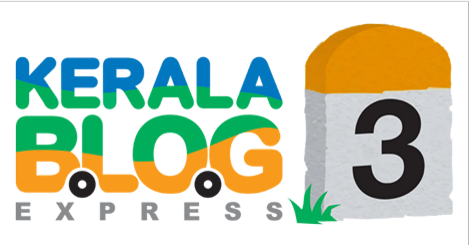 A panel of judges will make the final call for the participants of Kerala Blog Express III. What you also need to remember is that the guys in the IT team of KBE are pretty smart and if you are trying to game the system by buying votes or using paid votes your profile will be disqualified and they will not be informing you about it. So Honesty in this case also is the best policy. The trip will happen in the month of March and you move around Kerala in a customized, Air Conditioned, WiFi enabled luxury bus. The roads in Kerala are narrow but good and you will enjoy the journey. What Expenses are covered : All your travel within Kerala, hotels and food will be covered. Airfare up to a certain amount is reimbursed but I am not sure up to how much so once you are shortlisted you can check with the organizers directly. You will see some of the most sscenic places in Kerala, experience the cuisine, interact with artists, and watch some superb song and dance performances of Kathakali and other dance forms that originated in Kerala. But for me the trip was more about the wonderful memories and friends that I made that are far more precious than anything material. BTW:There is a little contest on desi Traveler also, about the 2016 Calendar giveaway , do check the same and participate. 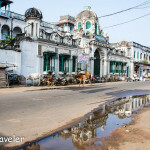 Hey, Have you been to Kovalam any time? 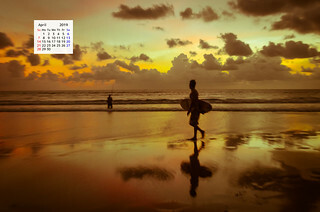 I would suggest you to have a visit in Kovalam, Trivandrum. It is a serene place where you have so many things to explore. Do visit Kovalam and have some ayurveda magic in ayurvedic treatment centers like Ayurrathna. I wish it may be an opportunity for you to have some calm and happiness. With tranquility, calmness and happiness offered to its visitors, the slogan, ‘God’s Own Country’ becomes quite relevant for Kerala. I’ve recently been shortlisted for Kerala Blog Express 2016 at http://keralablogexpress.com/index.php/user/single_participant/148. Sounds like too much fun. And Kerala happens to be one of my favourite destinations.